Yes, today is a huge milestone birthday for me, the big 3-1! All right, so maybe it's not a big milestone, but I will say that based on the past year of life, the 30s rock. And I DON'T think 30 is the new 20 because you couldn't pay me enough to be 20 again! (um, hello, fake IDs are so stressful, I mean what? Mom, I swear I never had one of those, thanks for giving birth to me 31 years ago, love you!). Anyway, it was a great year, it's been a great 31 years, and I'm celebrating the Houston food way today with a hot bagel for breakfast, lunch at Benjy's with my mom, and dinner at Oxheart (AHHH FINALLY!!!) with Jon! 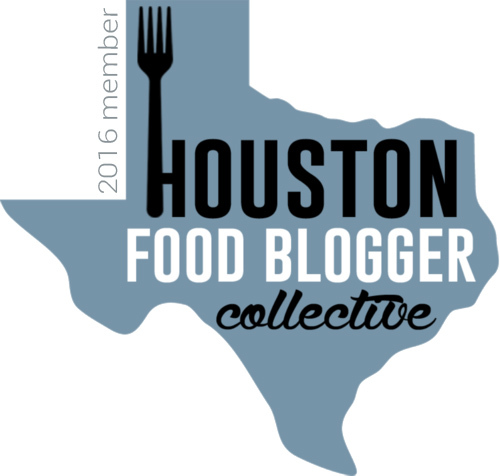 And also by telling you all about the amazing food crawl I participated in last weekend! One of my #squad members proposed back in May that we do a Houston Chinatown restaurant crawl, so we put our calendars together and nailed down a date. The members of the food crawl included my friends Isabel, Judy, Erika, Sarah, and me. 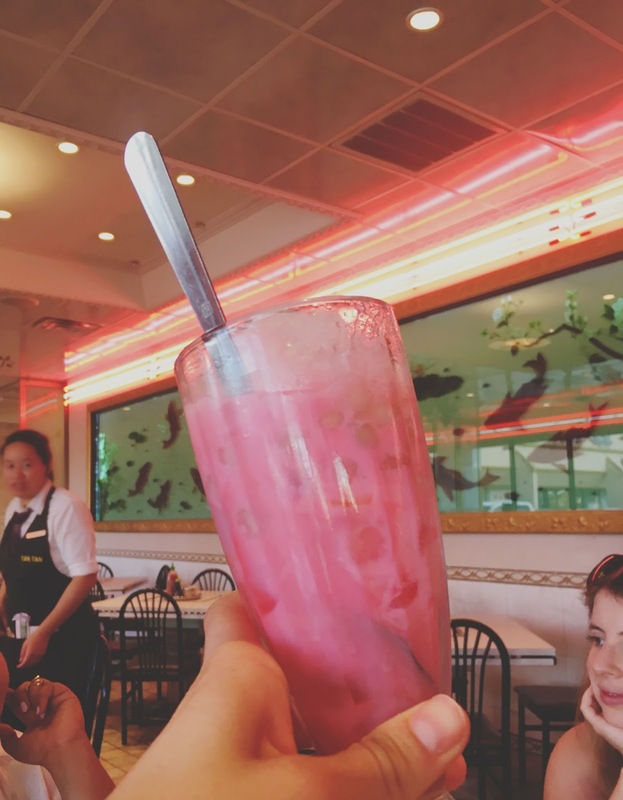 Isabel and Judy are incredibly knowledgeable about Houston's Chinatown, so they were our fearless leaders on our journey of visiting SEVEN restaurants within the span of 4 1/2 hours! We all met up and piled into my Ford Focus (I think I only almost killed us twice, which was a feat in and of itself, but nvm.). Our first stop was 6 Ping. 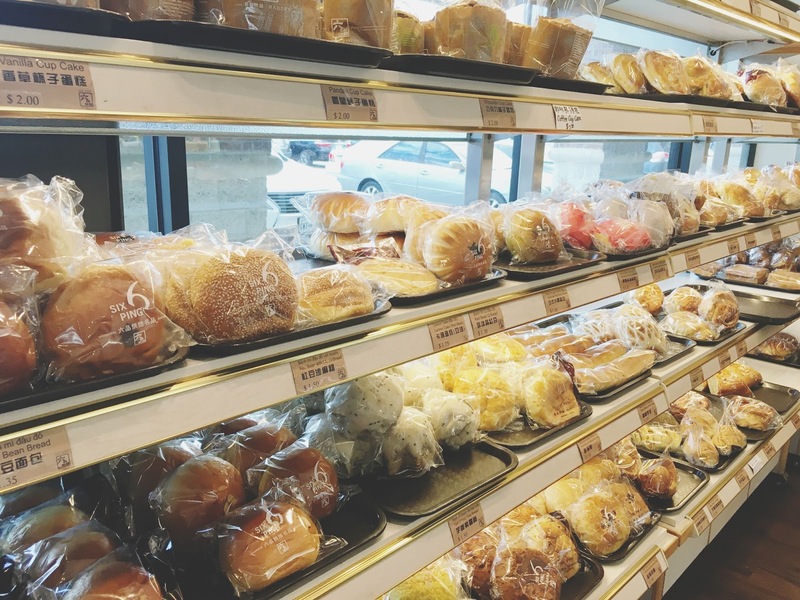 This Chinese bakery was filled with lovely sweet and savory baked goods. We went the sweet route (because dessert first, right? 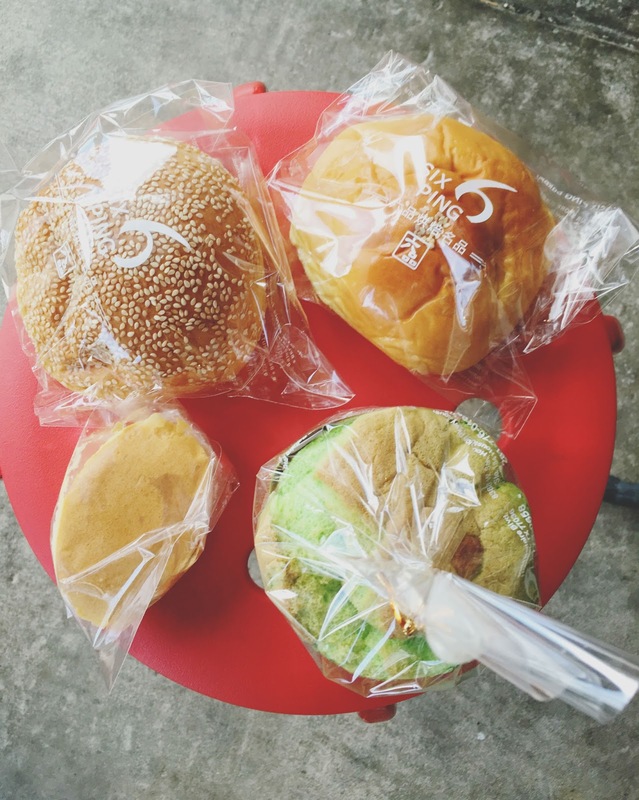 ), and ordered - pictured from bottom right, going clockwise - pan dan, Japanese cream cheese cake, red bean with mochi bread, and egg custard bread. The green pan dan sponge cake was super light, with subtle buttery flavors (almost a little too subtle for me). But it was suuuuper light and felt like I was eating clouds! (or so I've heard). The Japanese cream cheese cake had a very unique texture. It was fluffy, yet slightly spongey, and milky. It was also good, but the others were my two top picks. The bread pastry filled with red beans and mochi was fantastic. It was smooth, sweet (but not overly sweet), earthy, and light. This was my first time experiencing beans in dessert form, and I totally dug it. The pastry bread filled with egg custard absolutely knocked the wind out of me. The outer bread was fluffy and flaky, and the inside was sooo creamy, buttery, and not too sweet. It was my third favorite food item of the entire crawl! Our next stop was San San Tofu. This convenience store/grocery store/buffet/restaurant is all vegetarian all the time. My kind of place! To start we ordered banh ich, which was essentially dough filled with a meat substitute. The fried outer casing was sweet and chewy, and the insides were savory, had a ground meat texture, and had a sort of barbecue flavor, They were quite tasty! 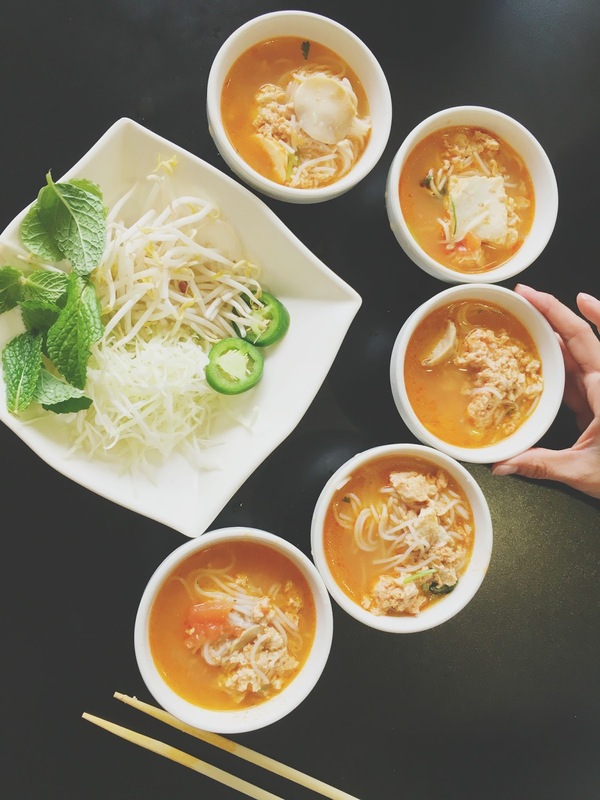 Then we all shared a bowl of bun rieu, which is a soup that traditionally contains crab meat. This version contained tofu cubes, a crab substitute, noodles, and vegetables, and was served with a side of fresh veggies and herbs. The broth was tomato-y and super light, and the noodles were thin and silky. The flavors and textures were comforting and joyful, and the whole experience was like sipping on clouds (...or so I've heard?). A dash of mint on top added a wonderful bright contrast. Altogether, the soup was absolutely lovely. We also shared a cup of housemade soy bean milk, which was ricey, fresh, slightly sweet, and very refreshing! Our third stop was the Vietnamese/Chinese restaurant Hai Cang. 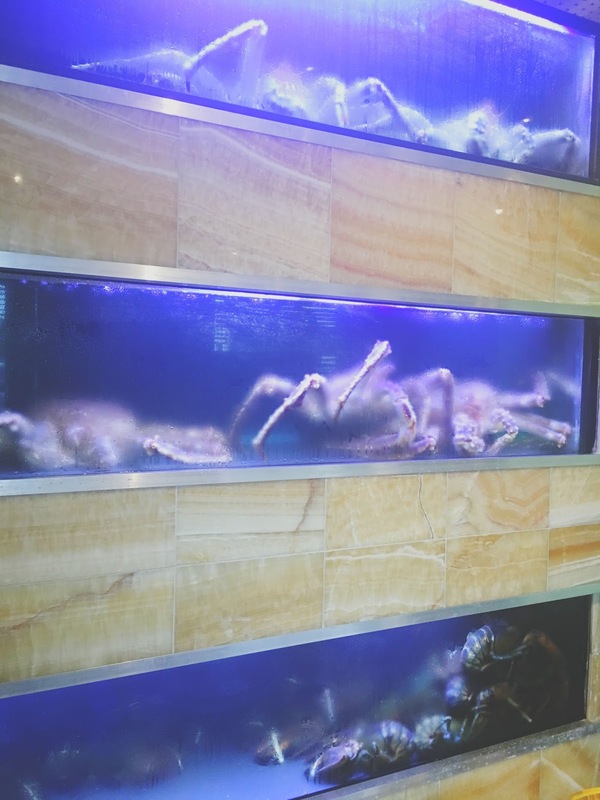 Yes, those are giant living spider octopus lobster things, why do you ask? No one was really in the mood for spider that day, so we decided to start off with some coconut water, brought to us in actual coconuts! I'm actually not a big fan of the taste of coconut water, but this was definitely better than the bottled stuff. 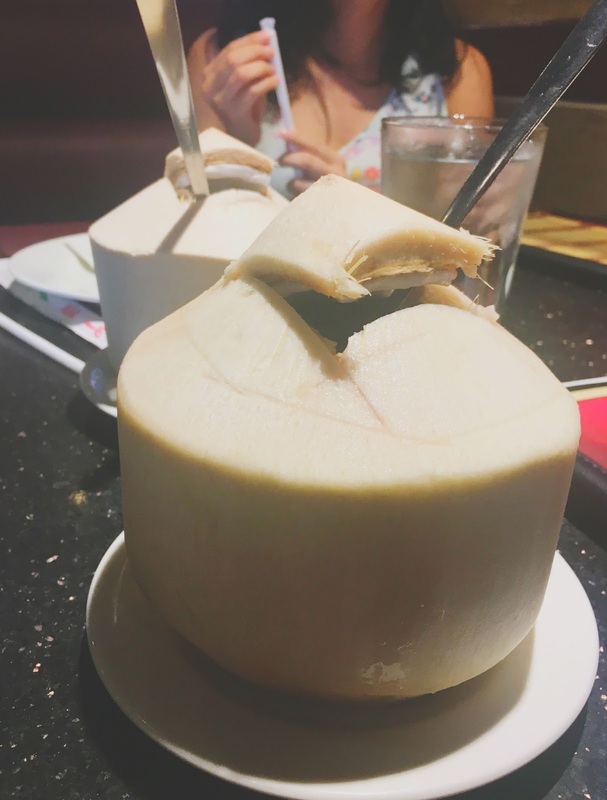 And how can you hate anything that comes in a coconut? For food, we ordered the water spinach with garlic. The leaves were still slightly crunchy and not too wilted, and it had a very nice subtle garlic flavor to it. 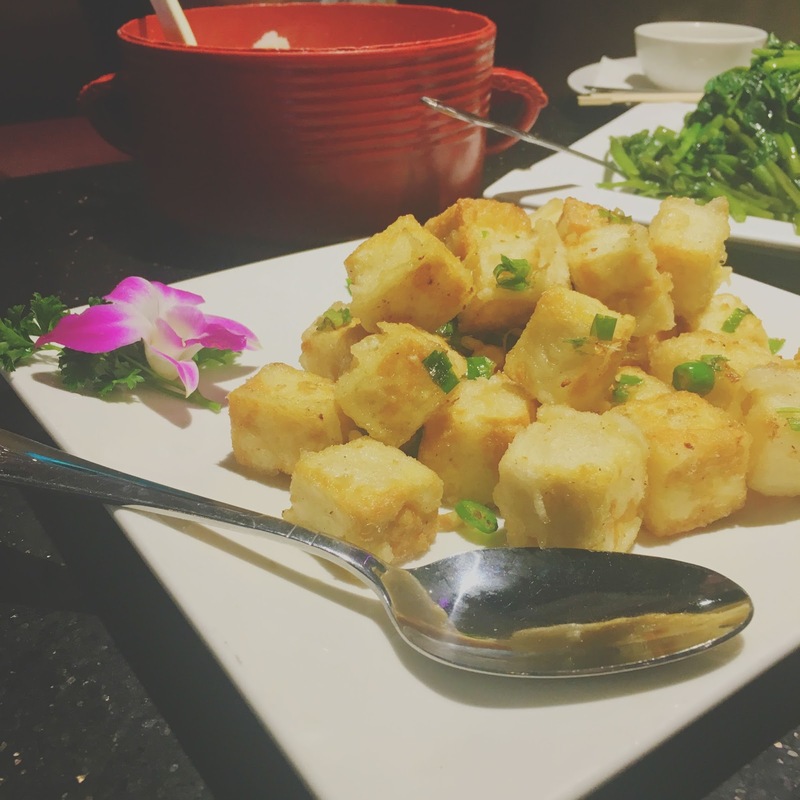 The main course of food was a salt and pepper tofu that we all split, aka my 2nd favorite bite of the Houston Chinatown Crawl! Y'all, this was INSANE. Served with fun sticky rice, the tofu was spicy, beautifully crispy, soft (but not soggy) on the inside, and had a simply awesome texture. The spices were bold and outstanding, and this easily is one of the best tofu dishes I've ever had! 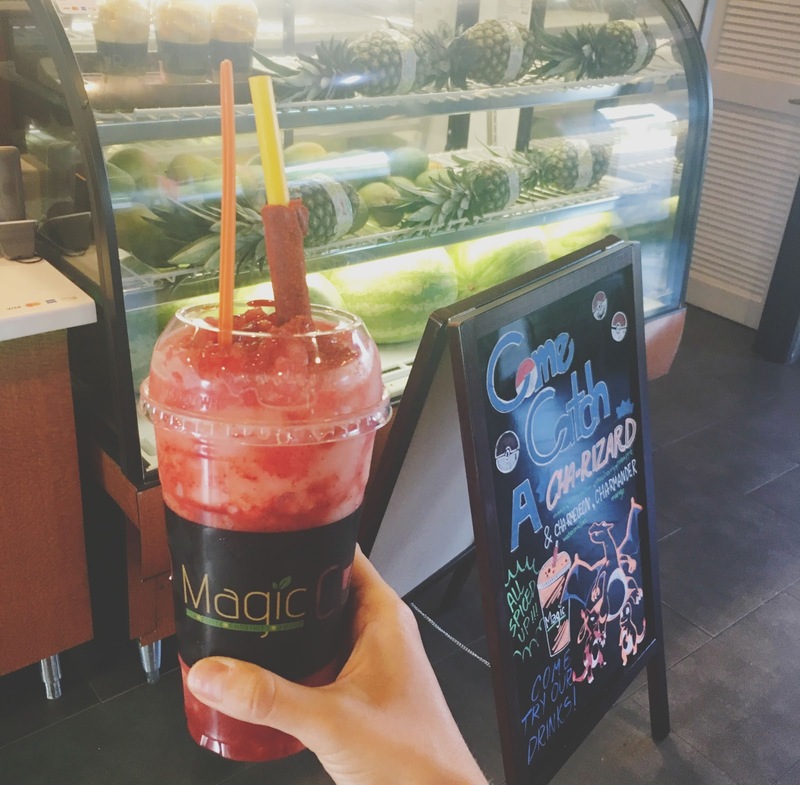 After that, we decided we needed something healthy, so we ordered a cha watermelon from Magic Cup. ...with a side of "Magic Puffs" (help.). The watermelon-based drink is actually Mexican influenced, with chili powder mixed in. It also came with a spicy, zingy tamarind cha moy straw. 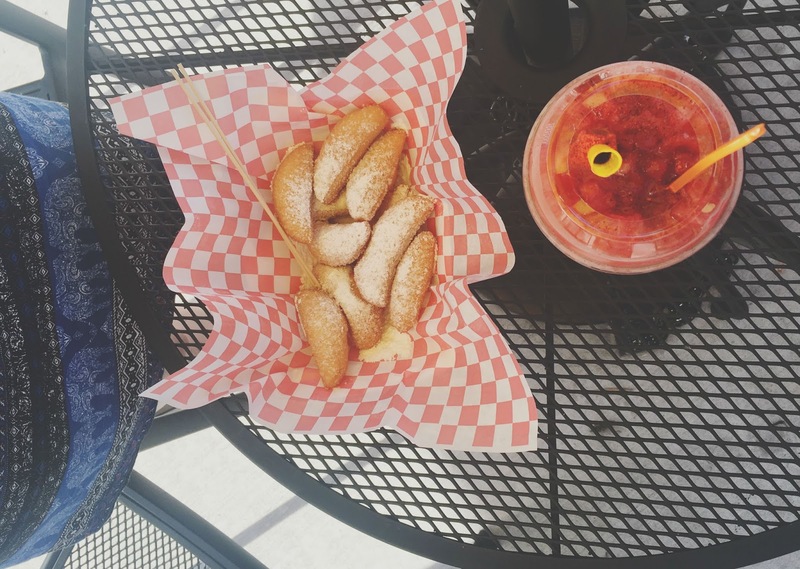 The candied straw had the texture and taste of a spicy Fruit Rollup. Mixed in with the textured, slushy, fresh watermelon drink, the flavor contrast was divine! The magic puffs smelled and tasted like funnel cake. 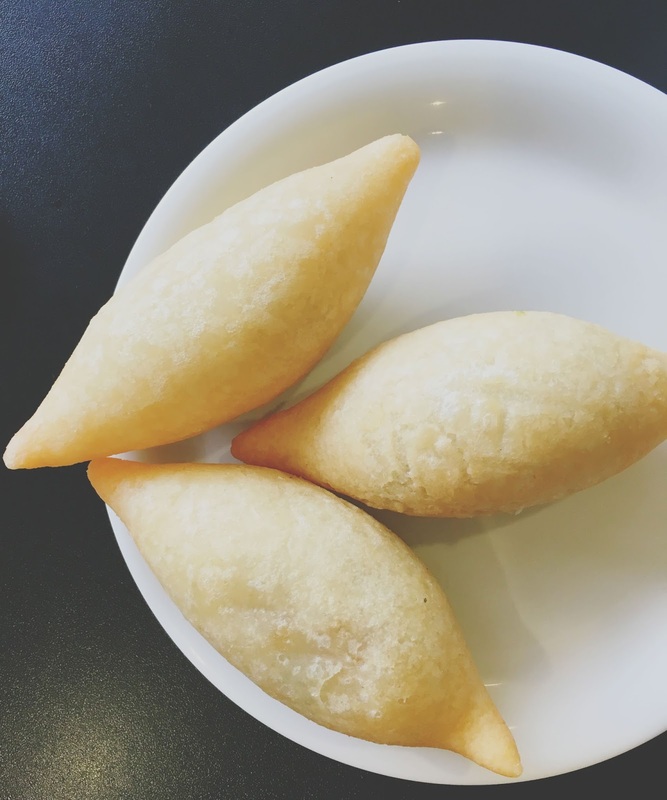 They were pure unadulterated delicious doughy fried goodness, and we had no regrets. 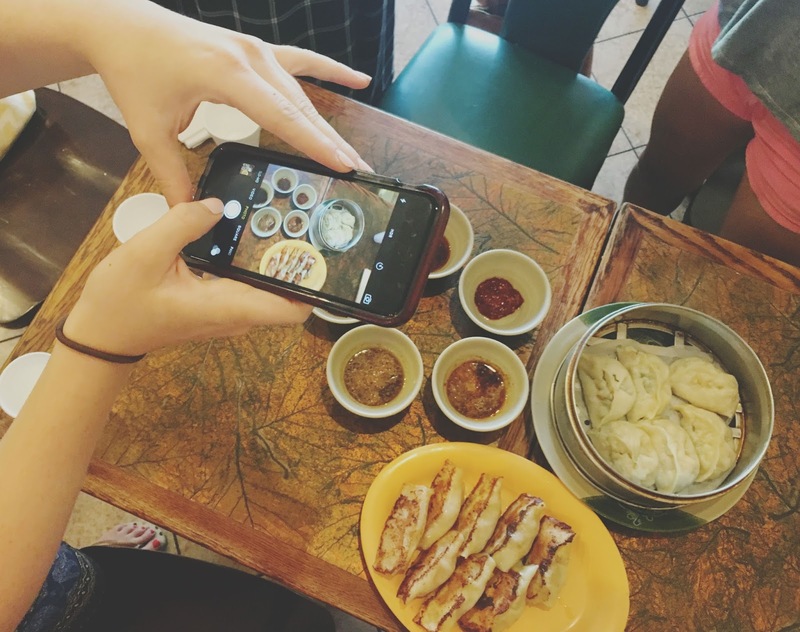 Our next restaurant on the Houston Chinatown Food Crawl was Tan Tan! For our main course of food, it was a two-parter, starting with the tossed flat fried rice noodle with Chinese broccoli. 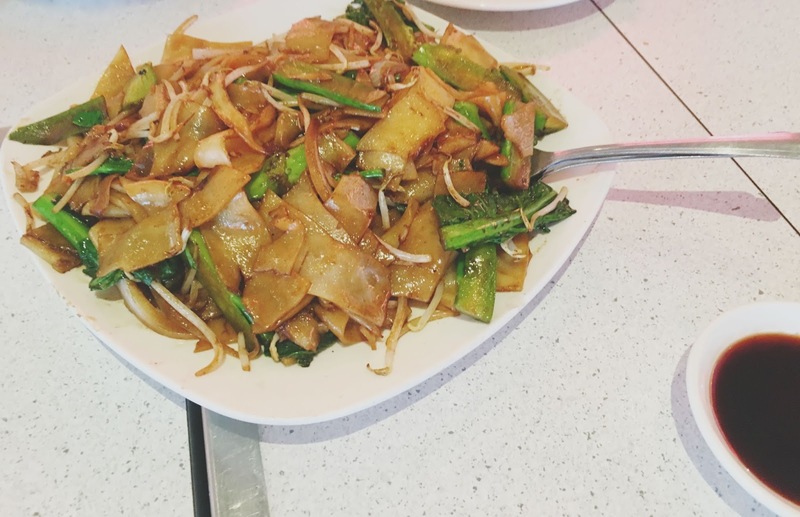 This dish was very similar to Thai drunken noodles, which I love. Tan Tan's version was saltier and slightly bitter. Filling and tasty, I enjoyed it, but I think I would have enjoyed it more if there was a hint of sweetness. The last dish we ordered was the whole reason we came to Tan Tan and was far and away my absolute FAVORITE bite of the evening! It was the house special rice cake. Sounds pretty unexciting right? WRONG. 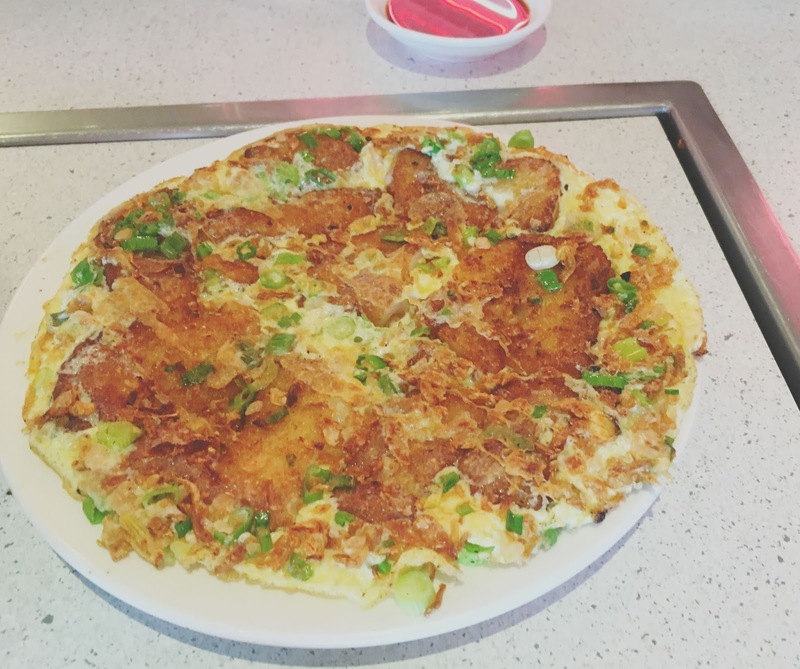 This eggy omelette(ish) dish is made of eggs, rice cake (not like the rice cakes we are used to), pickled daikon, and green onions. Judy is a pro at ordering this dish, and she asked for it to be fried on both sides to be crispier. Y'all, I cannot even tell you how INCREDIBLE this was. It was crispy on the outside, soft on the inside, creamy, textured, playful and ridiculously good. The cake was already incredible enough on its own, but it was served with a side of zippy, salty sauce for good measure. I think Sarah described this heavenly dish best when she said "If an omelette and a latke had a baby, this would be it." BINGO. ....off we went to the restaurant Xiong's Cafe for some dumplings! My meat-eating friends ordered some fried dumplings with meat, and we also tried the steamed vegetable dumplings. The inside of the veggie dumplings where hearty, meaty, and chicken-like, with some sort of bitter green component included. 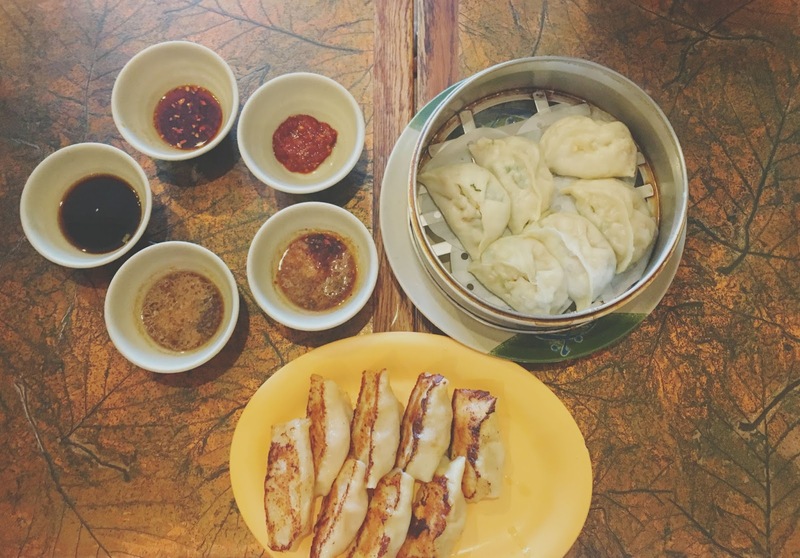 The outsides were slippery and doughy, and the dumplings fell apart pretty easily. These weren't my favorite dumplings I've ever had, though it sounded like my friends were going nuts over the fried meat ones! I think next time I'll go with the meat dumplings. Our last stop of the day was Juice Box for some [more] dessert! The five of us split a shaved ice mixed with pineapple, mango, strawberries, and tapioca balls. This was SO delicious! The shaved ice was covered in sweet, creamy condensed milk, and the fruit was super fresh, juicy, and sweet! The tapioca balls added a fun, playful texture. 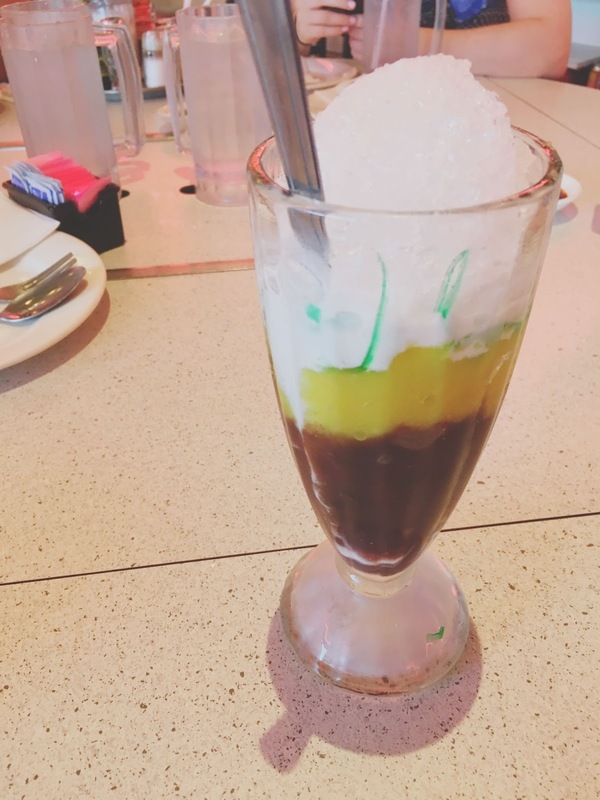 We ordered ours without ice cream, and honestly it didn't need it! 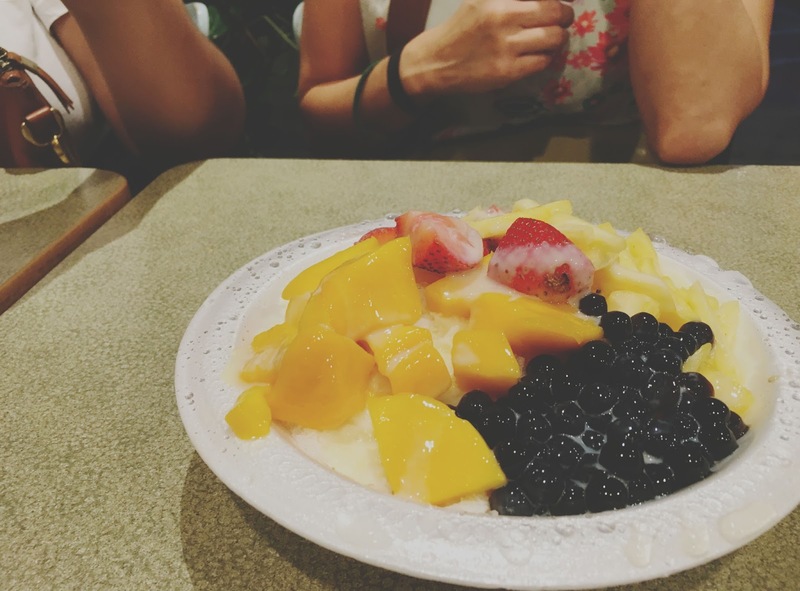 I was a big fan of this fruit-packed dessert. 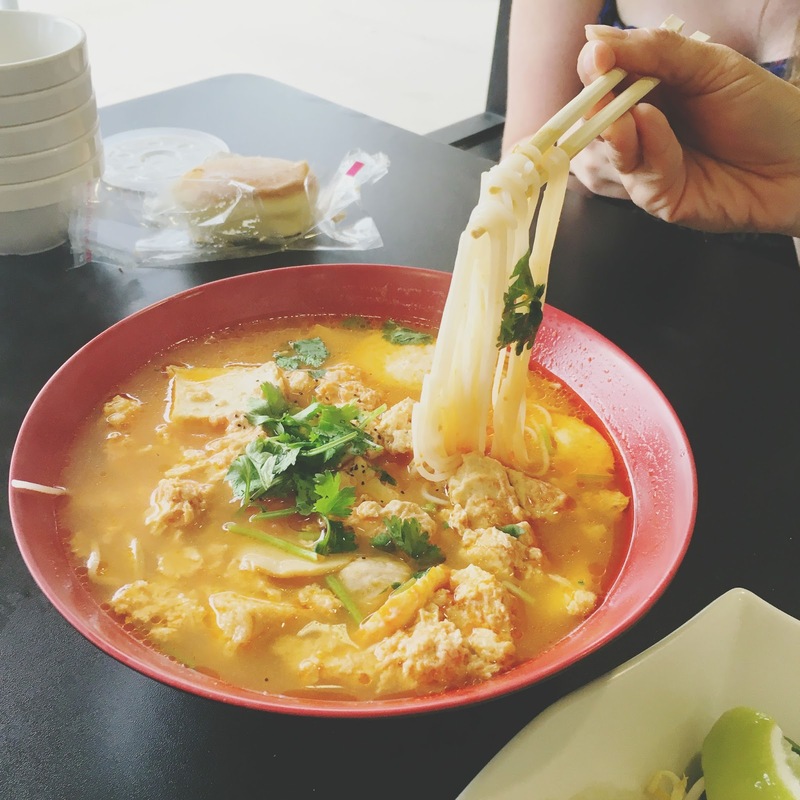 The dining scene in Houston's Chinatown is absolutely unreal. With hundreds (thousands?) of restaurants, you've got lots of great, authentic options to choose from. And it's super inexpensive! I'm so glad I finally made the trip out there, and I cannot wait for part two! Because that's what you do when you're 31, says me. AND WE NEED A PART TWO ASAP!!! !